Are you noticing that your doors or windows have become difficult to open or close? Do you have cracks over your doors? Are your ceilings warped? 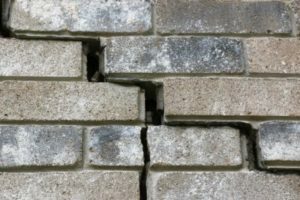 If you answered yes to any of these questions, you may be in need of foundation repair services for your residence in Reisterstown, Maryland. As a leading home improvement business that has proudly served the region since 1987, Allmaster Home Services offers an array of foundation repairs that cater to each homeowner’s specific needs. Unlike many other companies that simply offer a cookie-cutter solution to each homeowner for foundation issues, we take the time to thoroughly evaluate the problems you are experiencing so that we can formulate a plan that is unique to your needs. This ensures that you aren’t wasting money on foundation repair services you don’t need and that your foundation issues are solved once and for all. Before we begin our work on your home’s foundation, we will schedule a complimentary in-home consultation and inspection that will allow our experts to get a better understanding of the exact problems you are dealing with. From there, we will propose a custom plan for approval. Once our dedicated experts start working on your home, they will never consider themselves finished until you are completely satisfied with the job. To learn more about the foundation repair solutions we provide for residents of Reisterstown, MD, contact Allmaster Home Services today.